Even if you’re miles from the shore, you can bring a little of the beach to your backyard and encourage birds from your neighborhood to roost with the Brown Pelican Shaped Birdhouse. This hanging birdhouse is vividly painted to look like a real pelican and has a door for the birds in the front of its belly. 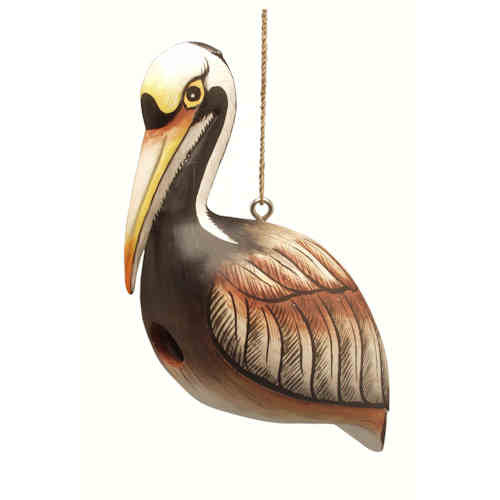 Be the first to review “Brown Pelican Shaped Birdhouse” Click here to cancel reply.